View of the interior of one of the sulphur mines at Jebel Dhanna. 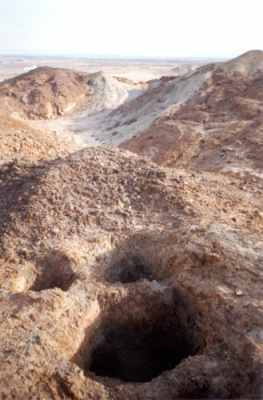 Late Miocene Fossils of Abu Dhabi - visit the website, hosted by ADIAS, which was created by Peter J. Whybrow and Andrew Hill documenting the Natural History Museum-Yale University Abu Dhabi Miocene Project. 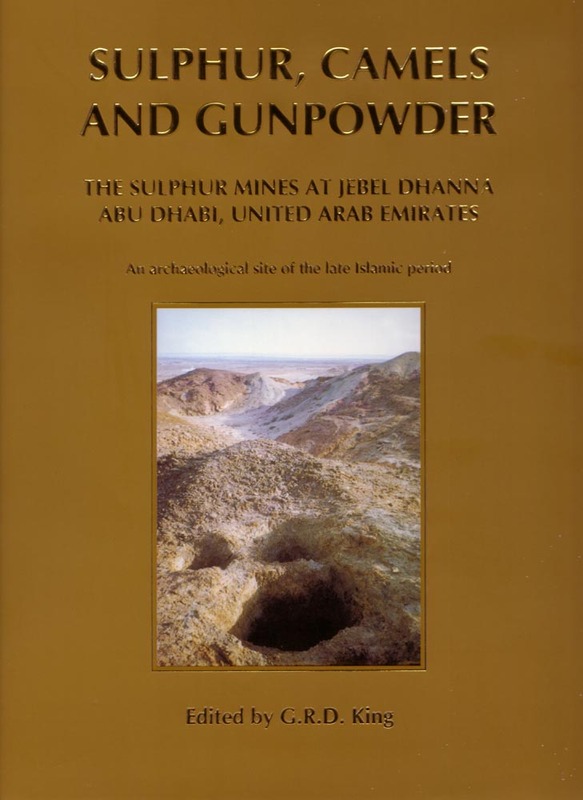 Sulphur, Camels and Gunpowder - The Sulphur Mines at Jebel Dhanna, Abu Dhabi, United Arab Emirates - An archaeological site of the late Islamic period. With contributions by D.Hull, S. Rowland, P. Hellyer, S.J. Aspinall, M.J. Beech, R.A. Carter and G.R.D. King. 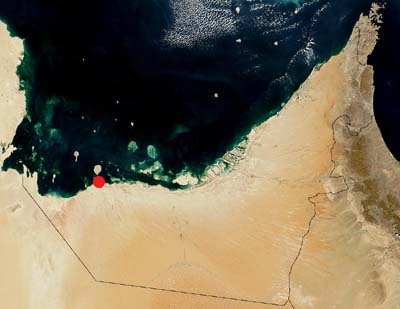 Abu Dhabi Islands Archaeological Survey (ADIAS) and the Abu Dhabi Company for Onshore Oil Operations (ADCO), Abu Dhabi. Zodiac Publishing, P.O. Box 502127, Dubai, United Arab Emirates. Hull, D. 2003. 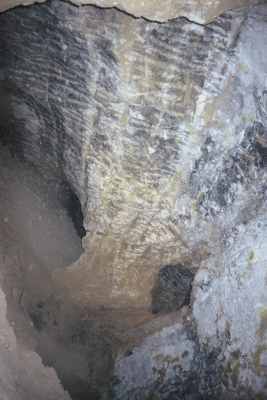 Sulphur mines at Jebel Dhanna, Abu Dhabi: Preliminary survey and excavation results. In: D.T. Potts, H. Naboodah and P. Hellyer (eds. ), Archaeology of the United Arab Emirates: Proceedings of the First International Conference on the Archaeology of the UAE. Trident Press Ltd., London. pp.277-284.